Dream Orchestra kicks off season with 15-year-old phenom Ray Ushikubo. SANTA MONICA — Celebrating its fifth season, the Dream Orchestra opens its “Symphonic Season” on Saturday, Sept. 17, at 8 p.m. at the Broad Stage in Santa Monica. 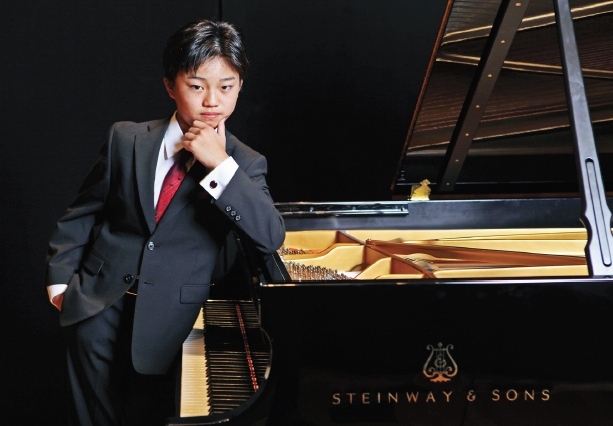 The special guest artist is 15-year-old piano phenom Ray Ushikubo, who will perform Grieg’s Piano Concerto in A minor. The program includes Sibelius’ Symphony No. 2. The Broad Stage is located at 1310 11th St. in Santa Monica. Tickets range from $20 to $60 and are available at www.dreamorchestra.org and http://brownpaperticket.com, by calling (800) 838-3006 and at the door (subject to availability). Since his solo orchestral debut at age 10 with the Young Musicians Foundation Orchestra at Los Angeles’ Dorothy Chandler Pavilion, Ushikubo has appeared with world-renowned pianist Lang Lang at Orange County’s Segerstrom Concert Hall, and with pianist and conductor Jeffrey Kahane and the Los Angeles Chamber Orchestra at Royce Hall in Los Angeles. A recipient of the prestigious Davidson Fellow Laureate Award in 2014, he won the 2016 Piano Concerto Competition at the Aspen Music Festival and School. After its successful 2015-2016 season at the St. Monica Catholic Church, Dream Orchestra Artistic Director and Conductor Daniel Suk chose the Broad Stage for the 2016-2017 season because of its intimacy and symphonic acoustics. He founded the orchestra in the fall of 2011, and since then it has performed in top concert halls all over Southern California – Walt Disney Concert Hall and Zipper Hall in Downtown Los Angeles, the Barclay Center in Irvine, the James R. Armstrong Theatre in Torrance, and others. The nonprofit Dream Orchestra’s mission is to promote and present exciting, passionate classical music, enrich the lives of community members and most importantly, inspire the next generation of young people to love classical music and become artists. More than 60 top musicians from Los Angeles and Orange counties are core members of the Dream Orchestra. For more information about the 2016-2017 season, visit www.dreamorchestra.org.